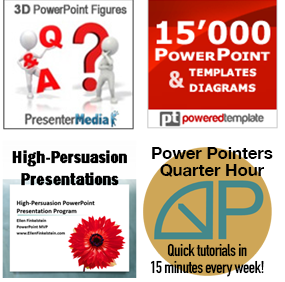 Single-source publishing with PowerPoint--use PowerPoint for all versions of your training! You are here: Home / Delivery / Single-source publishing with PowerPoint–use PowerPoint for all versions of your training! This is a guest blog post by Dimitri Roman. 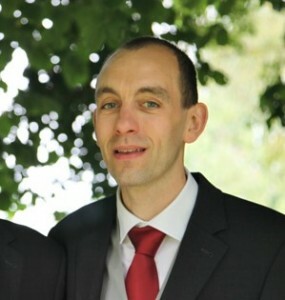 Dimitri is a Learning Architect at a leading supplier of strong authentication, He has been creating learning solutions with the use of PowerPoint for the last 15 years. In the fast paced economy of today, the development and maintenance of learning solutions needs to be optimized without any loss in quality. This invokes the need to create a Single Source Learning Solution that reaches multiple generations. A Single Source Learning that can be built with PowerPoint. In most cases a learning solution consists of a presentation and an accompanying handout. Today we tend to extend the implementation with the creation of an eLearning and a sharable video so the learning solution can reach different generations with their inherent learning styles. Creating all these different implementations can be a time consuming endeavour, not to mention the nightmare of keeping all these implementations up to date and consistent. That is why it is important to contain your learning solutions source into one single document that can generate all the requested implementations. As your primary single source, a presentation is the most obvious choice. The learning needs to be kept digestible, with Single Concept Learning, using micro-lessons. Custom shows can be applied, to segment a Single Source Learning Solution in small learning nuggets. Create your custom show, by selecting the needed slides out of your complete deck. Hidden slides can also be selected and will be shown in the custom show. Different shows can share slides, so you can maintain the learning as a Single PowerPoint Source. Slide Sections help you in organizing your slide deck. Use the View tab to select Slide Sorter view. Right click in the slide sorter to manage your sections using the context menu. Actions in PowerPoint allow users to navigate freely between content and custom slide shows, within the Learning Solution. If you want to return to the master slide show, after viewing a custom slide show, then you need to enable “Show and return” when linking to custom shows. Triggers and animations can engage online students even more. You can reveal items when a student clicks on an object. You can store much more content on the Notes Page by reorganizing your Slides and Notes. Your Notes Page is a perfect place to host a well-crafted handout, using the exact same tools as you would, when creating slides. Reducing the size of the Notes Text Box, creates more space for inserting additional content using the Insert tab. Your video will need the proper voice support and timings. The best and most flexible way to provide your voicing is by using narration. When presenting your PowerPoint you want this without the embedded Narration and Timings. To do this, you need to turn them off in the Slide Show tab. The Timings and Narration will not be removed from your PowerPoint, they are just not used during your presentation. With careful planning all these considerations can be achieved in PowerPoint, allowing you to create a learning solution in a single file, avoiding the risk of any inconsistencies. The 5 considerations seem to be a hard bargain but when taking a look at Ellen’s website you will find a wealth of information that help you to achieve this goal.